← How To Achieve Harmonious Relationship? How did Walt Disney become successful? Have you heard of the great secret of Walt Disney’s success? It is called Creativity Strategy-using creative imagination to envision and create the future. 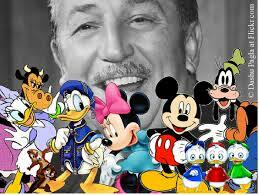 Walt Disney was one of the most creative people of the 20th century. He was a successful film director, screen writer, voice actor and animator. And of course, I should not forget- he has been one of the most successful entrepreneur during his time. He envisioned and created the first ever theme park, Disney Land, in the 1950’s which is continually raking in money and success after success all over the world. Whenever Mr. Walt would create something new, he would assume three roles during his creative imagination process. They are- The Dreamer, The Realist, and the Critic. What made him successful using this process is his ability to take on these roles one at a time. He would never allow the realist and the critic to enter into the picture unless the dreamer has fulfilled his role. Mr. Walt had a special chair in his creativity room where he would sit before he would start dreaming. First, he became the DREAMER. Mr. Walt would dream of the Disney character that he would like to create in the future. That’s what he did when he successfully created Micky Mouse, Donald Duck and Pluto as well as when he animated the German fairy tale – Snow white and the seven dwarfs. When he began to dream, he would imagine himself sitting in that special chair. Then he would bring the character that he wanted to create and would imagine everything he wanted to be part of that experience- the looks, the attire, the sound, the style, the way the subject talks, smiles, laughs, cries, how tall, how short, the color- all that he wanted to be part of it. All he did as the dreamer was to observe and to take note of all that’s happening in the dream and everything he could think about for that dream. Second, the dreamer would step aside so the REALIST can enter and sit in a different chair. The Realist is the one who takes the concepts and makes them real. It is the person who would tell him if the concept is possible or not, or how they can improve the concept. The realist would recommend something like, “I think it would be better if we change the color of the hair to gold, or make the ear of the mouse rounded and big and make it black”. However, the dreamer and the realist make sure that the discussion is positive and harmonious. Though this strategy was originally conceived and used by an individual. Big corporations are adopting this pattern as part of their operations, today. It is used by companies to solve problems, improve and create more products and services. Posted on November 10, 2014, in Did you know that..., Inspiration, Personal Development, trivia and tagged creative imagination, creativity strategy, disney land, disney land theme park, power of imagination, walt disney. Bookmark the permalink. Leave a comment.